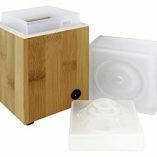 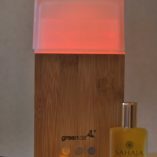 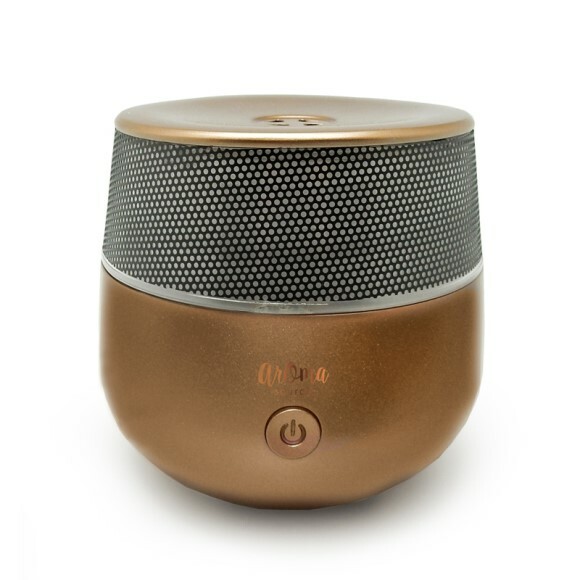 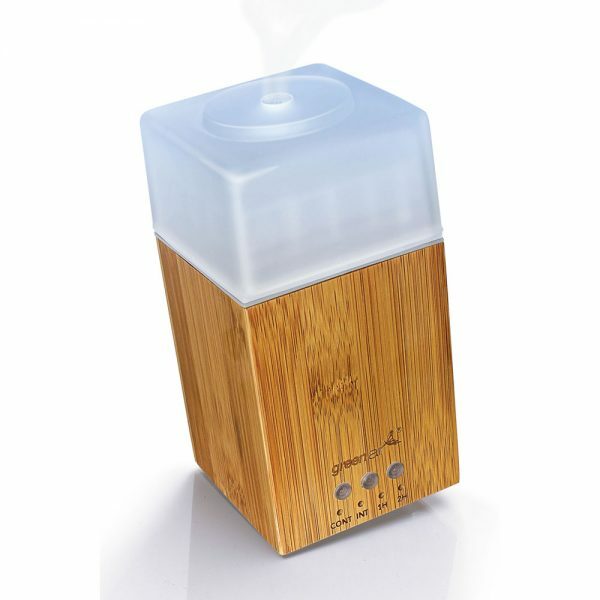 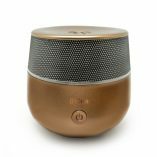 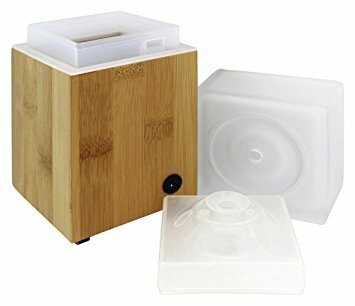 URBANE Ultrasonic Diffuser is a beautiful modern and natural design perfect for any room or decor style. 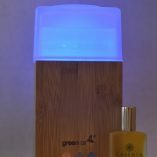 The Urbane rectangular base is made of bamboo wth a frosted glass top through which gorgeous and soothing lights emanate. 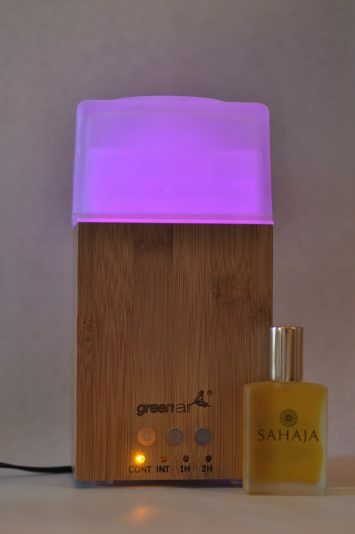 There are several modes for the lights, including rotating through the color spectrum, fixing on a favorite color and turning the lights off. 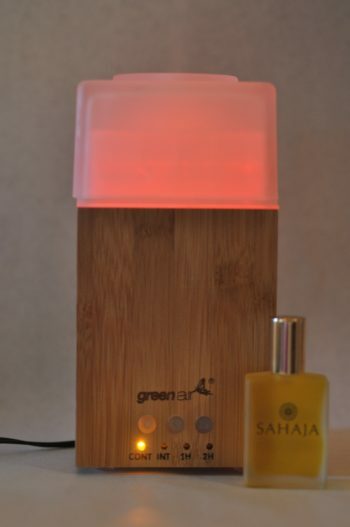 There are also several mist modes, including intermittent and continuous. 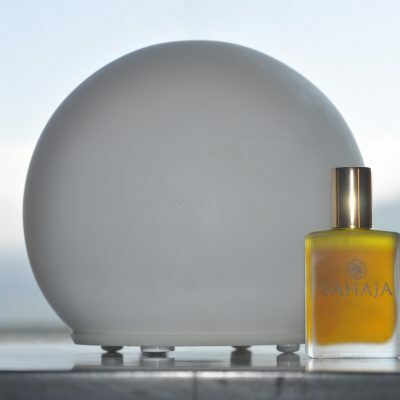 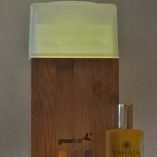 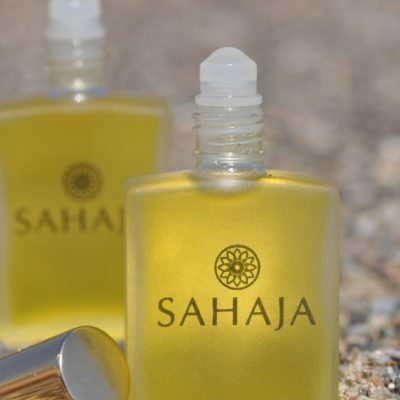 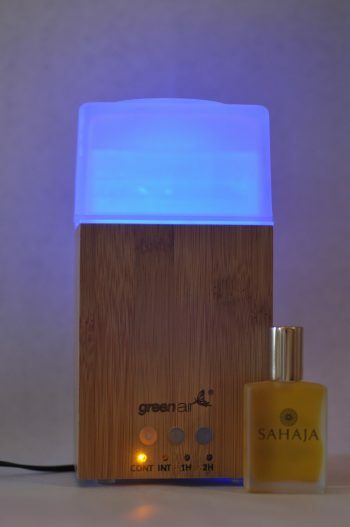 Setting up and using the URBANE is fast and simple: Add tap water to the “max fill line,” add 5-7 drops of your favorite SAHAJA Essential Oils blend, plug one end of the power cord into the base and the other end into an electrical outlet, push the power button on and that’s it. 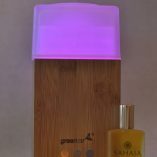 You will immediately smell a delectable aromatherapy mist and create a wonderful environment in your home, office or even space.